For the average good-credit borrower, finding a personal loan for a few thousand dollars is often just a matter of heading to the nearest bank. If you have poor credit, however, you’re often lucky to find a bad-credit loan larger than your low credit score — let alone anything in the four or five figures. That’s not to say it’s impossible to find a bad-credit loan for $1,000 or more — but it isn’t going to be a cakewalk, either. Not only will you need to do some research to find a lender that will work with bad credit, but you’ll also need to make peace with the idea that you’ll probably be paying high rates and fees for your loan. Of course, in the end, your ability to qualify for a loan of any size will depend entirely on your qualifications. If your credit is near the fair range, you’ll have more options than if your score is well below the subprime threshold. Finding a bad-credit loan in the $500 or less range is both easier and harder to get than larger loans. Most banks won’t issue loans of less than $500 — some won’t go below $1,000 — which eliminates a number of potential lenders. One option you may want to consider for a $500 loan is CashUSA.com, an online lending network that caters to those with a bad credit history and offers repayment terms that range from three to six months. On the other hand, if all you need is a couple hundred bucks to make it until your next payday, you may have options beyond the typical short-term loans. One of the best of those options is likely your trusty credit card. Even most subprime cards offer lower rates than expensive payday loans, and you can typically get a subprime credit card with a starting limit of $300 to $500. This is an unsecured subprime card that has no minimum credit score requirements to apply. The typical starting credit limit for this card is around $300, but the annual fee will be charged when you open the account, limiting your initial available credit. Additionally, some cardholders may need to pay a one-time account opening fee. This card is one of the more affordable options in the unsecured subprime market, with a competitive APR and no minimum credit score requirements. The card usually has an initial credit limit of around $300. Applicants won’t be charged a processing or program fee to open the account, and the annual fee will vary based on the applicant’s qualifications. Earnin is a rather unorthodox tool that allows consumers to essentially get an advance on their paychecks without paying any interest or finance fees. Users download the app and track their workday. At the end of the day, they can “cash out” their pay, receiving up to $100 per day or $500 per pay period. On payday, Earnin automatically deducts the advance from your pay. Eanin charges no fees, but gives users the option to leave a “tip” of up to $14, depending on what they can afford and feel is fair for the service. 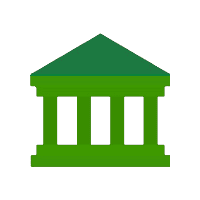 You must be paid through direct deposit into an active checking account to use the service. You’ll also need to download the Earnin app and give Earnin permission to withdraw funds from your checking account. When you’re looking for a loan of up to $1,000, your options widen a bit to include a few banks and credit unions as you become eligible for a regular installment loan. In addition to some of the installment loan lenders in the next few sections, your options for a loan of up to $1,000 may also include the short-term lenders below. Keep in mind that where you live can limit the amount you can borrow from a short-term or payday lender. Given the typical cost of a short-term loan, an installment loan will often be the more affordable choice, but short-term loans can be easier to obtain. No matter which type of loan you choose to pursue, be sure you compare rates and fees from multiple lenders to get the best deal. Online lending networks can be a good way to compare multiple offers without the need to fill out a bunch of separate applications. CashAdvance.com is an online lending network that specializes in short-term cash advance loans. The network requires no minimum credit score to apply, though individual lenders may set their own standards. Qualified borrowers can get loans of up to $1,000, and funding can occur as soon as the next business day. Applicants will need a minimum monthly income of $1,000 and at least 90 days of work history to qualify. 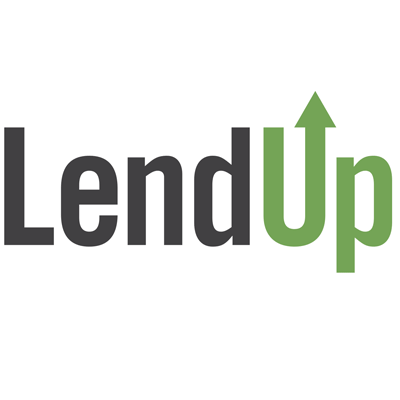 LendUp is a direct lender that offers short-term and some installment loans for borrowers of diverse credit types, including consumers with poor credit. Loan amounts vary by state; $100 to $500 loans are typical for short-term loans, while installment loans can be obtained for up to $1,000. Although rates and fees for a LendUp short-term loan are on par with most short-term loans, repeat borrowers who pay on time can eventually access lower fees through the lender’s LendUp Ladder program. LendUp loans are not available in all states. Most lenders that offer personal installment loans will typically have a minimum in the $1,000 to $2,500 range, so your options for a $2,000 loan should include a goodly number of installment loan lenders. Only consumers in states with lax limits on short-term and payday lenders will find these types of loans with amounts of up to $2,500. Unless you know you can repay your loan quickly, an installment loan should definitely be your first choice when you’re looking for financing in the four figures. That’s because you can stretch out repayment over several months or more, making it easier to fit the payments into an already stressed budget. If you live in a state with lax short-term loan laws, then this online lending network may be a convenient place to find a short-term lender. There are no credit score minimums to apply, and qualified applicants can find loans of up to $2,500. Note that income and credit requirements may vary by lender. MoneyMutual loans are not available in New York. Most credit unions offer personal installment loans with competitive rates, which can be useful for larger loans. However, some federal credit unions also offer what’s known as a Payday Alternative Loan, or PAL. These are small — $200 to $1,000 — loans with terms between one and six months. These loans tend to have lower fees than payday loans, making them a viable alternative for those who qualify. You can search for a local credit union online through the Credit Union Locator tool provided by the National Credit Union Administration. You’ll need to join the credit union from which you wish to get a loan if you are not already a member. Living, working, studying, or worshiping in the geographic area of the credit union is typically enough to be eligible for membership, though you’ll likely also have to open a credit union checking or savings account. At the point you’re looking for a loan in the $2,500 to $5,000 range, your options become almost entirely dependent upon your specific credit profile and your income. If your credit is truly bad — say, sub 550 on the FICO range — then you will probably find it very challenging to find an unsecured loan of this size. Installment loan lenders that specialize in bad-credit loans may offer the largest loan amounts, though your local credit union may also provide a decent loan amount. A small number of personal loan lenders will allow you to use your car or other valuable property as collateral for a loan. Be careful doing this, however, as defaulting on your loan could result in the loss of your collateral. This online lending network connects borrowers with lenders that specialize in working with subprime and bad-credit applicants. The network has no minimum credit score requirements, though each lender can set its own requirements. You may not qualify for the maximum loan size based on your individual qualifications. Rise is an online lender that offers small loans to consumers with poor or limited credit. Rise is unique in that it may reward on-time payments by reducing the rates it charges. You’ll need a regular income and an active checking account to apply. Rise is not available in all states, nor will its rate reduction program be available in every state in which it operates. Check out Rise’s How It Works page to find details on availability, rates, and fees. Finova Financial is different from most of the other lenders on our list in that Finova allows applicants to use their vehicle’s equity as collateral for personal loans. With a car as collateral, the loan becomes a secured loan, and is much less risky for the lender, allowing Finova to offer loans to people with low credit scores. Your vehicle must be fully paid off and you must have comprehensive and collision insurance prepaid for the term of the loan. If you are in an accident, your loan will come due. Borrowers will be responsible for paying the $75 DMV Lien Fee and may need to pay a Document Stamp Tax. Fees are rolled into the loan and included in the Finance Charge. Realistically, finding a loan over $5,000 when you have bad credit will be difficult, especially if you’re looking for an unsecured loan. You may need to consider finding a secured loan, or seeking out alternative financing types, such as taking out a home equity loan if you own your own home. At the same time, if your credit is on the borderline between fair and poor, you may still qualify for an installment loan of a decent size. In some cases, bringing on a cosigner with good credit can help tip the balances in favor of being approved. If you’re going to try your luck with an installment loan lender, using an online lending network may give you a leg up by connecting you with potentially thousands of lenders. You can also check out direct lenders known to work with bad-credit borrowers. CashUSA.com is an online lending network that works with borrowers of all credit types, including applicants with poor credit. Qualified applicants can get loans of up to $10,000, but a poor credit history will likely mean a smaller loan. Loan terms can range from three months up to six years. Another online lending network, PersonalLoans.com works with borrowers in all 50 states to find the right match. The network has no minimum credit score requirements to apply, but its lending partners will set their own individual requirements for approval, and the loan amount will vary based on creditworthiness and income. 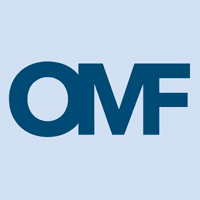 OneMain Financial is a direct lender that has been helping borrowers for decades. The lender has no minimum credit score requirement, nor does it have a set minimum income requirement. OneMain will consider your entire credit profile, income, and location when determining your loan offer. You can start the application process online, but you will typically need to head to a branch location to complete your loan. Some borrowers may be charged a one-time origination fee at the time of issuance. Avant offers personal loans of up to $35,000 to borrowers of various credit types, requiring a minimum score of just 580 to apply. Keep in mind that the loan amount, rates, and fees you are charged will depend on all of your qualifications, and a low credit score may mean a smaller loan. Applicants will need a minimum verifiable annual income of at least $20,000 to be approved. Loans can come with an administration fee of up to 4.5% of the loan amount, and the fee is taken out of the loan at the time of funding. 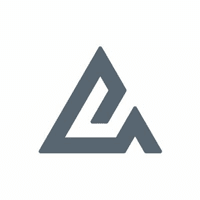 Avant charges no prepayment penalty fee for paying down your loan early. Rates and fees will vary by state. 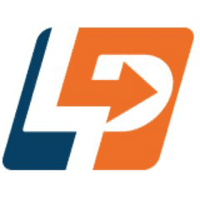 LendingPoint offers personal loans of up to $25,000 for qualified applicants, though with bad credit, don’t expect to be offered a loan at the top of the range. You’ll need a minimum credit score of 600 for approval and an annual income of at least $20,000. In addition to meeting income and credit score requirements, applicants will need an active U.S. checking account and a debt-to-income ratio of 35% or less. LendingPoint does not operate in every state, so check to see if your state qualifies before applying. What is the Easiest Loan to Get with Bad Credit? Many factors go into a lender’s decision to offer you a loan, but your credit profile is, undeniably, the most important. Lenders use your credit history to determine how much credit risk you represent; in other words, they want to know how likely it is that you’ll repay any money they lend you. If you have a poor credit history (i.e., you have a history of missing payments or defaulting on your debt) then you represent a high risk. In general, lenders don’t like risk because risk is expensive. Risky borrowers default more often, meaning the lender loses the money it loaned. Small loans: Short-term and installment loans of $2,500 and less are typically going to be the easiest to find for consumers with bad credit. That’s because lenders will place strict limitations of loan amounts for consumers with low credit scores to help minimize the lender’s overall losses should the borrower default. Expensive loans: If you’ve heard the term “high risk, high reward,” then you get where this is going. Some lenders, namely subprime and payday lenders, are happy to accept risky applicants because it means they can charge high interest rates and finance fees. The higher fees help ensure the lender makes a profit even if many of its borrowers wind up defaulting on the loan in the end. If you have fair — bordering on bad credit — then you may be able to find a loan that only fits one of these categories. That is, you may find an expensive loan that is of a decent size, or you may be able to find a smaller loan that is comparatively affordable. The worse your credit is, however, the harder it will be to find a loan that isn’t both expensive and small. If your credit is below about the 550 mark, the only loans you’ll likely find easy to get will be low-limit credit cards or sub-$1,000 loans with high interest rates (or even higher finance fees). That’s why it’s very important that you explore all of your financing options, especially when you have bad credit. You can check local credit unions and small neighborhood banks, explore reputable online lending networks, and thoroughly investigate all of your loan alternatives. Can You Get a $1,000 Loan Without a Credit Check? As we mentioned in the last section, lenders use your credit profile to gauge your credit risk, which is an indicator of how likely you are to repay your loan. The lower your credit score, the higher your credit risk, and the more likely you are to be turned down a loan from most mainstream lenders. If you’ve ever been rejected for a loan due to your bad credit, you’ve probably wondered about finding a loan without having to go through the ordeal of a credit check. And, sure enough, a quick internet search will show you dozens of lenders happy to skip the credit check and offer you some cash. The vast majority of lenders willing to forego a credit check before handing out loans aren’t doing it to be nice — they’re doing it to make money. And it works, otherwise there wouldn’t be so many predatory lenders vying for your bad credit. Desperate people (i.e., consumers with horrible credit in dire need of a loan) will agree to pay more because they often feel they have no other choice. This means lenders that don’t do credit checks can — and do — charge way more money than most other lenders, often including other payday or cash advance lenders. Yes, if you have bad credit, you’re going to need to pay more for a loan than your good-credit counterparts. That’s the price of bad credit. Basically, since high-risk borrowers are more likely to default on a loan, lenders need to charge more money to make up for the losses they’ll experience when borrowers inevitably default. 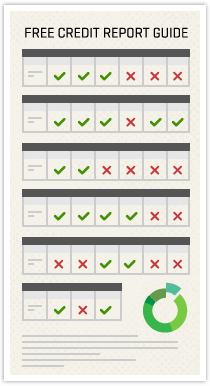 What you’re charged by lenders that check credit reports will depend on your creditworthiness. While this means you’ll be charged more than people with better credit, it could also mean paying less than some other applicants if your credit is better. In other words, you don’t actually need excellent credit to benefit from lower rates and fees thanks to being more creditworthy than your peers. Overall, lenders that check your credit do it for them — but also for their customers. You don’t need to avoid lenders that check your credit to get a loan, you just need to do a little research to find lenders that will work with your credit as it is. And avoid those scammy no-credit-check lenders entirely. How Long Does It Take to Get a Loan Funded? The time it takes to go from filling out a loan application to having the money hit your bank account will depend on a number of variables, starting with how you apply. The method of underwriting — computer versus manual — will also impact your loan’s progress. These days, online applications and computer algorithms mean that many loan applications can be received and evaluated within minutes of being completed. If you fill out an application in person with a lender, the process could potentially take longer, particularly if the application will be manually evaluated. So long as everything is correct on your application and the lender can process it without issue, most lenders can provide funding for a personal loan in as little as one business day. If the lender needs to verify something on your report or runs into some sort of problem, funding can take as much as two to three weeks. Are There Fast Ways to Make $100 to $1,000? Although many of us may first start thinking about borrowing money when we come up against a sudden lack of funds, obtaining some sort of financing may not be your only — or best — option if you need some extra cash. Instead, if you have a little time to put toward your bottom line, you can try a few of the following suggestions to make a few bucks. Online surveys and market research: Data is the currency of the future, and companies are happy to pay you to get data on what we like. You can find a number of online survey sites that will pay you anywhere from $1 up to $75 to fill out questionnaires for various companies. Join the Gig Economy: Whether you get a part-time role as a rideshare driver or pick up a gig delivering groceries, you can find lots of ways to fit a little extra earning into your spare time. Rent out your stuff: These days, you can rent out everything from your car to your parking spot to your spare tools to consumers in need, often right from a handy mobile app. Up your rebate game: We’re not talking about those annoying rebates that require you to mail in receipts and bar codes. No, nowadays, you can download a range of handy apps that let you get rebates on the things you’re already buying like gas and groceries. Cleanse your junk: One person’s trash is another person’s treasure, so consider selling that stuff in your garage you haven’t used in years. Thanks to the reach of the world wide web, you can easily hop online, make an ad, and start marketing your stuff in just a few clicks. Sell your skills: Most people have at least one or two skills they can monetize. Share your skills with others — for a fee — by tutoring or freelancing in your spare time. Be a caregiver: As any parent — or pet parent — knows, finding someone to watch your little ones can be hard. Offer your services as a babysitter or pet sitter, or open your home for pet boarding to make a few extra bucks on the weekend. While none of the things on this list are likely to make you rich in a week, you can easily boost your budget by finding the right combination of money-makers and money-savers. Don’t see anything on our list that works for you? A quick internet search can easily help you uncover hundreds of additional ways to make a few extra bucks. Having bad credit is a major handicap in the consumer finance world. Bad credit not only makes it more difficult to qualify for loans, but it also limits the amount of money you can borrow — and makes borrowing it way more expensive. On the bright side, when you do find a loan, you can use that new credit line to help boost your credit because most lenders will report your payment history to the major credit bureaus. This means that making your loan payments on time and as agreed will not only keep your loan in good standing, but it can also help your credit scores. Of course, the flip side is that not paying your loan on time can hurt your credit, so be sure you can make your payments before taking on a loan. As your credit improves, you should become eligible for larger — and less expensive — loans, making it easier and more affordable to borrow in the future.